A beautiful Collectible for the fashionable woman! 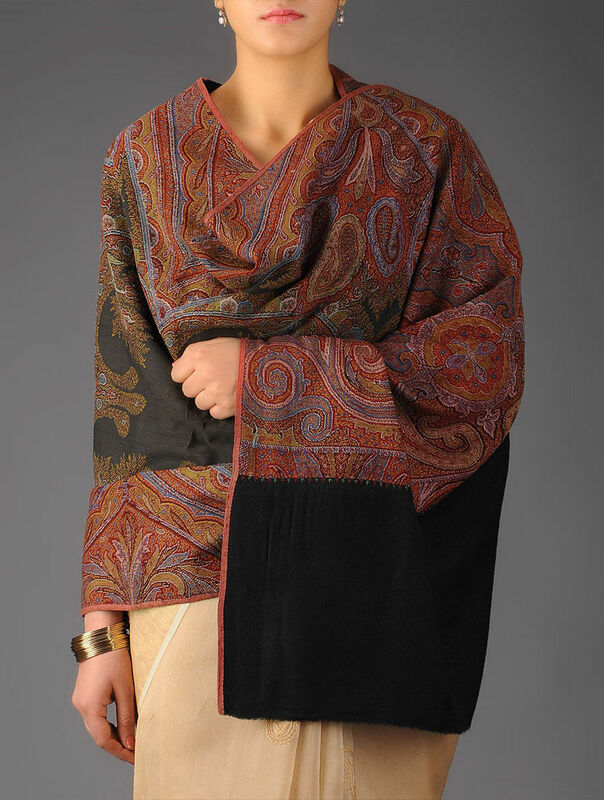 Made from pure fine wool on a jaquard loom, this exquisite multicolored French Paris Paisley shawl from 1860s, with a black ornamented centre field, has an all-over Kashmiri design of the Dogra period jamawar shawls. Cleaned and restored by expert rafugars, lined with fine mull cotton and enhanced with hand embroidery at the palla edges.